“Shirley Jackson: A Rather Haunted Life” by Ruth Franklin, revisits the life and career of the author of “The Lottery,” a talented horror writer, humorist and essayist whose work is experiencing a revival. An Associated Press report said “Miss Jackson writes not with a pen, but with a broomstick,” a line that was repeated in her New York Times obituary. Jackson didn’t seem to mind all the witchy talk. She joked that she put a spell on publisher Alfred Knopf that caused him to break a leg in a skiing accident and had a long-running joke about her futile attempts to hex the opponents of the Brooklyn Dodgers, her favorite baseball team. The truth, as always, was much more complicated and interesting. Jackson (1916-65) was a serious student of the occult who gave readings with Tarot cards and attended at least one séance. The bifurcation reflected an internal struggle she never reconciled, between being a serious literary artist and a housewife with four children and a demanding husband. Jackson tried with considerable success to thread the needle and reconcile her two lives but a series of physical (obesity, smoking) and mental (agoraphobia) issues broke her, and she died in her sleep at 48. Jackson was and is still remembered mostly for “The Lottery,” one of the most heavily anthologized and widely taught stories of the 20th century. A revival and reappraisal is under way: Stephen King is an ardent fan. Joyce Carol Oates edited a collection of Jackson’s work for the Library of America. A Michael Douglas-produced adaptation of “We Have Always Lived in the Castle” is being filmed in Ireland. 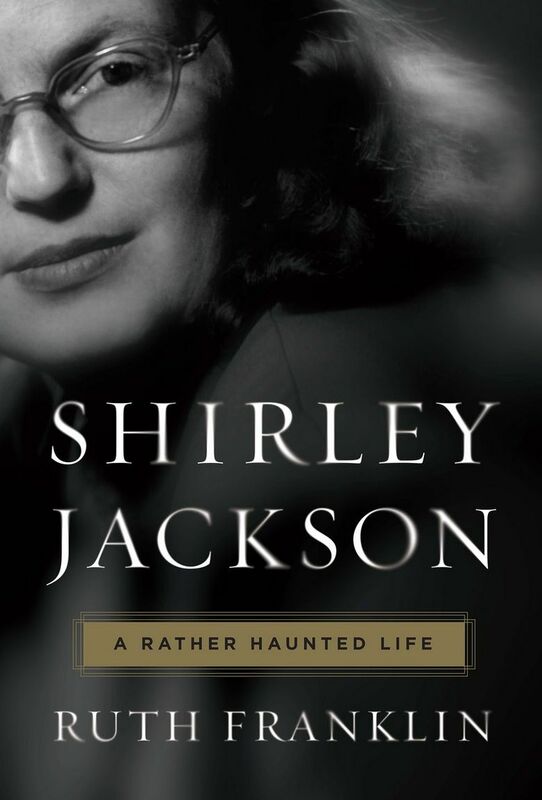 “Shirley Jackson: A Rather Haunted Life,” a new biography by Ruth Franklin, lifts its subject out of the genre ghetto and makes a convincing case that Jackson was a courageous woman in a male-dominated field whose themes resonate strongly today. “Several generations later, the intersection of life and work continues to be one of the points of most profound anxiety in our society — an anxiety that affects not only women but also their husbands and children,” Franklin writes. Franklin makes much of the two dominant and domineering influences on Jackson: her hypercritical mother and her husband, critic and scholar Stanley Edgar Hyman, whose force is so great that Franklin gives him equal space, and then some. Hyman was a brilliant polymath whose encouragement to Ralph Ellison was crucial in the publication of “Invisible Man.” He was a fierce champion of Jackson’s work and a perceptive editor, even as his infidelities drove her to psychic breaks. Jeff Baker recently reviewed “Bright, Precious Days” by Jay McInerney for The Seattle Times.